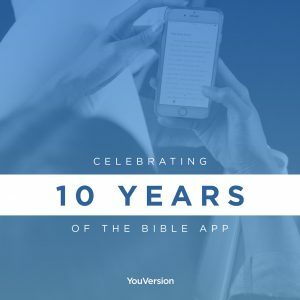 EDMOND, OK (July 10, 2018) – The YouVersion Bible app published by Life.Church, an ECC congregation, turns 10 years old today. It was one of the first 200 apps featured in the Apple App Store when it debuted on July 10, 2008. It has since gone on to be one of the most downloaded apps of all time. -The app was downloaded 83,000 times in the first weekend. -The app has been downloaded on more than 330 million devices and in every country. -It was launched with 15 versions of the Bible in English and Spanish. -It now offers more than 1,700 versions in more than 1,200 languages. Pastor and innovation leader Bobby Gruenewald designed the app so that the Bible could be more accessible to people around the world. The idea first came to him while he was waiting for a flight at Chicago’s O’Hare Airport when he considered how technology could be used to help people better engage with Scripture. 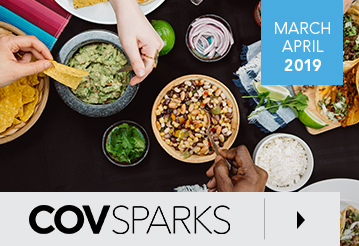 The church has provided YouVersion, like many of its resources, for free because they felt that charging people would put up a barrier for people to use the app. YouVersion is more than a plethora of translations. It includes devotions and gives people the opportunity to add their own notes, create reading plans, and share them in community.